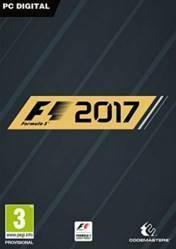 F1 2017 is the next installment of the best Formula 1 simulator of all time. In this new season, the game will feature an impressive graphic section, with all the details of both the vehicles and the locations and tracks where we will compete. One of the advantages of this great saga of games of simulation and competition, is that we will have all the official licenses, that is to say, pilots, teams and circuits to be able to use them and to feel like real pilots of the real world. We can compete in the 2017 World Championship, drive the fastest Formula 1 cars, climb the rankings and even have the chance to compete directly against some of the most iconic racing vehicles of recent years. Another novelty, apart from the graphic improvements and in gameplay, is that now in the career mode we can practice our profession for ten long years, with a much more varied gameplay. It will also include the new Championships mode as well as other game modes in both single player and multiplayer modes. The launch date for all platforms is scheduled for August 25, 2017, although this date is subject to possible variations. I always buy on Steam so is great to buy a cheaper Steam code. It will be great if they were cheaper tho lol. 126 hours played and counting, definitely worth a try if you like the F1, nice graphics, a complete career mode and a competitive AI what makes the fights for position harder than previous years. BUT, the online is unplayable, and you are not going to use the historic cars in the game too much. Hm.. It look great if you want some competition. Definetly i will try it when i will have the oportunities and i think is better to play with a close friend for more fun ! Well it's a little bit continuist on the trayectory mode but the historic cars, specially those older are a complete blast. That's the best addition on this edition. F1 2017 Career Mode Part 12: INTENSE BATTLES AT SPA!